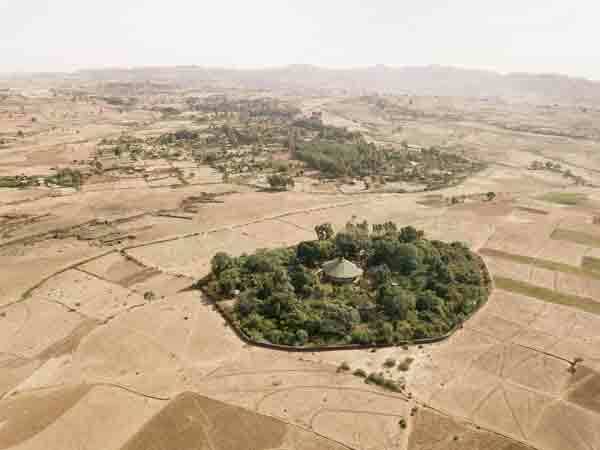 A protective wall surrounds the Mekame Selam Kolala Meskel church’s forest in South Gonder, a region of northern Ethiopia. 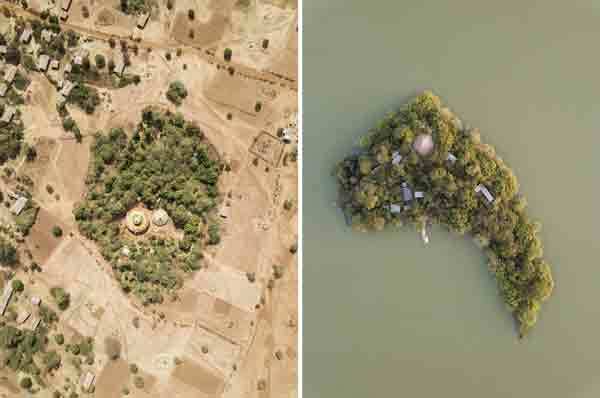 Fields encroach on the Tiloma Gabriel church in West Gojam (left); the Entos Eyesus church forest (right) sits on an island in the northerly Lake Tana. 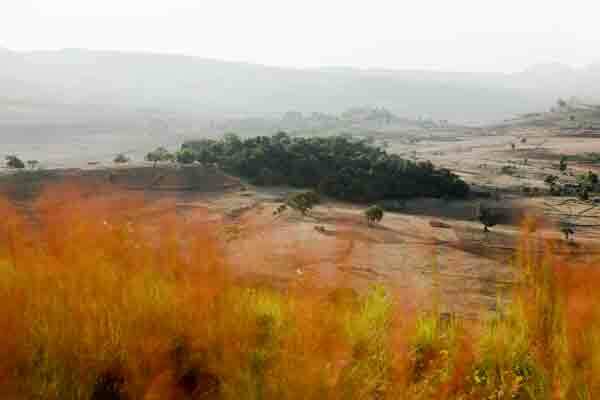 The Gebita Giyorgis church forest. 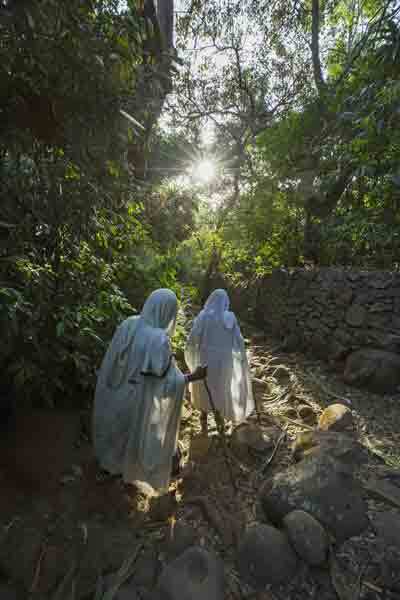 Two women walk towards Betre Mariam church in the forests of the Zege peninsula, near Lake Tana. 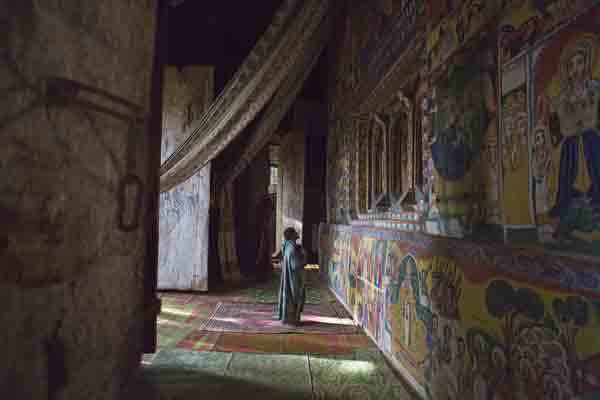 A priest prays before a wall in the Ural Kidane church. 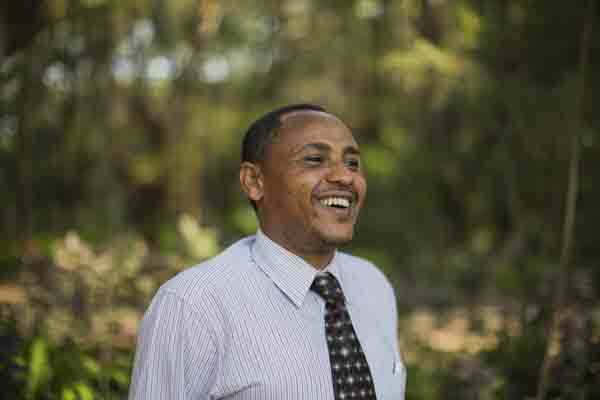 Alemayehu Wassie has spent the past decade or so studying, preserving and teaching people about the biodiversity in church forests. 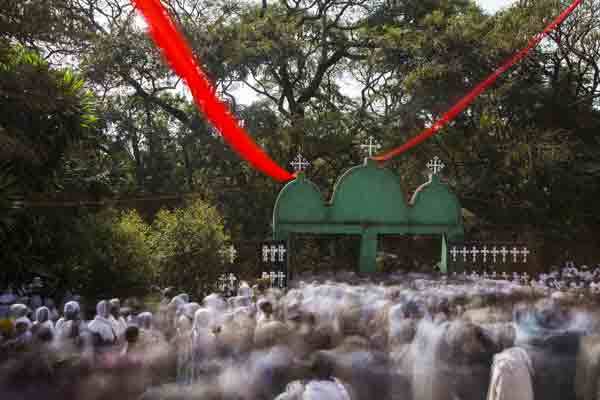 Crowds at an Orthodox Tewahedo church watch as a replica of the Ark of the Covenant is returned to its sanctuary during the Timkat festival in January. 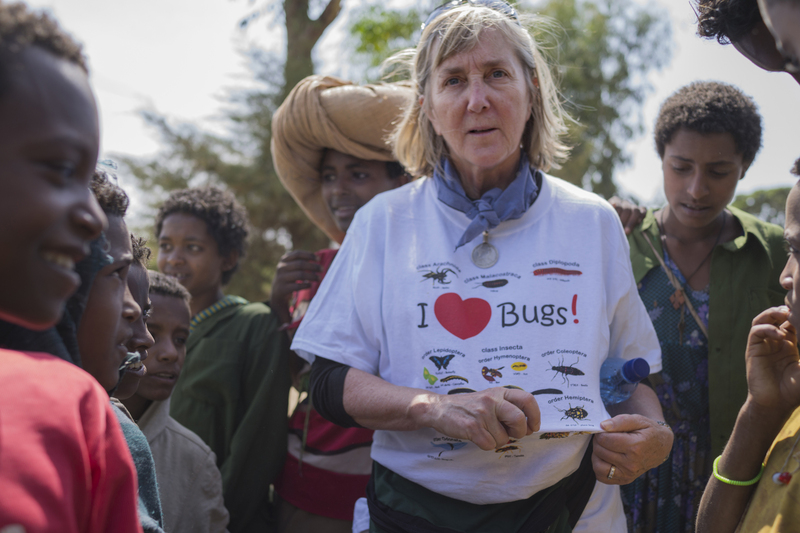 Ecologist Meg Lowman has been helping to teach priests and communities how to conserve their church forests. 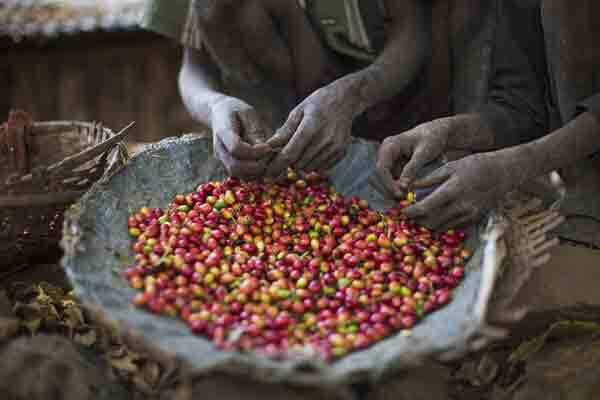 A father and son sort coffee beans in the grounds of Weyin Enchet Michael church in northern Ethiopia. 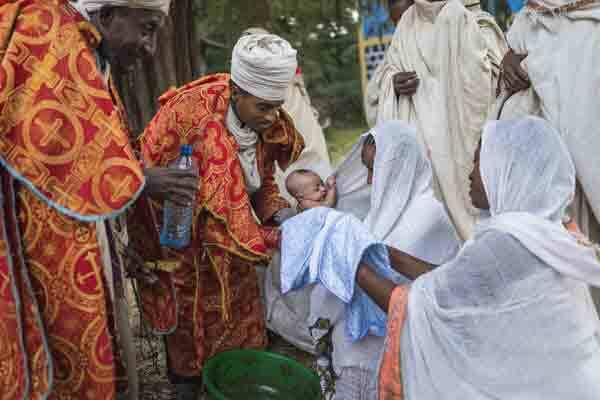 A baby is baptized at Robit Bahita church near Bahir Dar in northern Ethiopia. Alemayehu Wassie (left) and a priest by the conservation wall at Zhara Michael church near Bahir Dar.